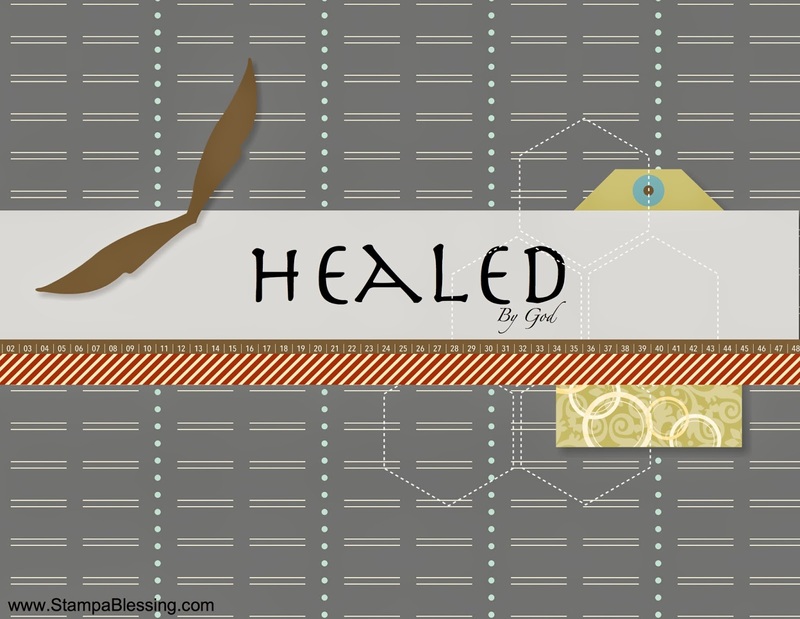 Stamp a Blessing: Creative Hop -- My Creative Journey! It is a Monday and God is good…yes! He is also good on Mondays…haha! I pray you have a wonderful day creating blessings wherever you go one way or another. Now, my friend and fellow designer at My Pumpkin Challenge tag me for the Creative Hop! Thanks Lisa Harlow for thinking of me….I met Lisa through My Paper Pumpkin. She makes the most beautiful projects and definitely caught our attention at My Pumpkin Challenge. We were elated when she accepted our invitation to be a designer there. She also homeschools her little ones which brings her even closer to my heart…loves Stampin'Up! and is a christian too! Eeek! Truly a blessing in my life. You can read her answers to the Creative Hop here! and see her beauty on her blog Dwell Delightfully. Truly I am working on BALANCE.I am a very passionate person and when I dedicate myself to something I am very stubborn. At the moment I am truly VERY busy. I am keeping a marriage, a home - including three little ones, food, laundry, errands, phone calls, appointments…); I also homeschool, lead worship at my church in PA every third week and play the keys every Sunday, and I have BIG dreams through Stampin'Up! I prepare and design classes for my local ladies, keep up with a blog and try my best to update my Facebook group every week. Did I forget to mention I am always creating! No…I don't' sleep much, neither watch much tv. Soooo, I need balance…fixing my eyes on Jesus and following His lead helps. I love life and I'm passionate about EVERYTHING He puts in my heart to do. Just curious…what are YOU working on right now? How does my work defers from others on my genre? My work is a bit different in that I am not only trying to inspire through my classes and blog but also make them great. Making others great keeps me going. Is not about making me or my business great, is about making them great. When I think about how the Lord put others first THAT makes a difference in me. When I think on how Joseph's dream didn't come true TILL he made Pharaoh great. Have you ever wonder about it? We are called to estimate others better than ourselves. Empower others with love. "You give me your shield of victory, and your right hand sustains me; you stoop down to make me great." How does YOUR work defers from others? Have you ever ask yourself that question? This and much more fuels me to share the love of God and stamping with others. Do not quit on your dreams, especially when they will bring praise to the King of Kings. He healed me, and I pray what I do brings healing to others too in the name of Jesus. Also, now I can dance!!! Gee! Enough of me…why do YOU create? Normally It start with imagination. I think of an idea with a certain stamp and put it down on a scrap piece of paper, napkin, whatever is there to write or draw on. After my design is made, I start getting all my needed tools together and as soon I have a minute I make it. Then take a picture….watermark and find the day I want to share it on my blog. Other times, a class plan inspires me. For example I am working on a class displaying the Envelope Punch Tool…so I research, I take notes, try the different ideas and then start making samples to show….eeek! Last but not least a sketch helps. At times when my creative juices are not flowing I find a sketch online or another card on Pinterest that gets me going.Ta-da! How do YOU create? This was a refreshing time of relexion for me…why do I do what I do…what am I working on…focus, focus…and since this blessed me let me tag a few of my blogging friends here! I want to tag my friends Heather Heroldt and Boni Montano! You've got to see my friend's art but most importantly their hearts. I have made such beautiful connections with these two bloggers and Stampin'Up! demonstrators. I can't wait to meet them in person someday soon. They inspire me with their love, friendship and creativity. See Heather's blog Handmade By Heather here! 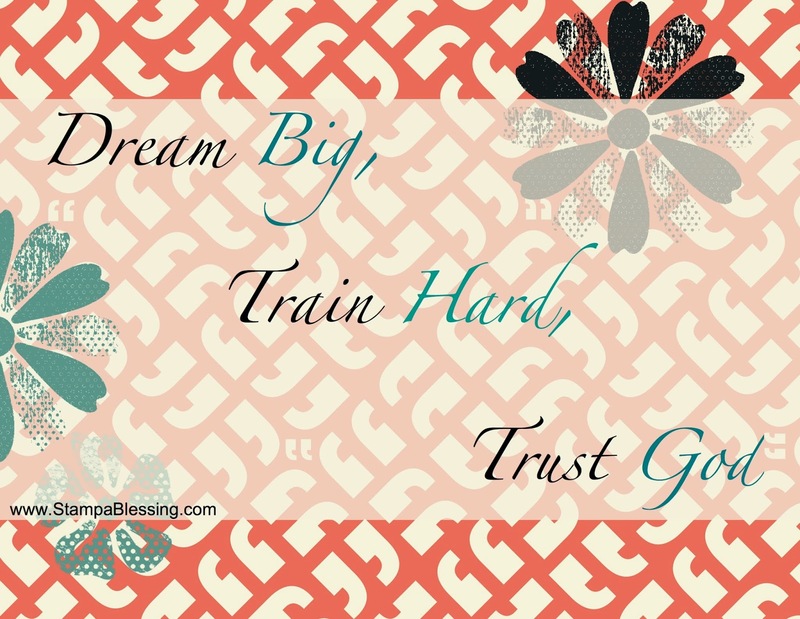 See Bonni's blog Stampin Sweet! I have been very blessed, this is why I love stamping blessings. Make a mark in your world! You are such a beautiful blessing in my life! Thank you sweet Boni! God is good indeed!